The Resources section is the place we gather our hand-picked references. 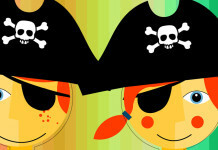 From copyright to file sharing, patents, creativity and originality, from piracy to net neutrality, surveillance to hacking. From documentaries and TEDTalks to official documents, scientific studies & books, we try to provide you with an aggregate of the most important, informative and thought challenging online sources. Anyway… there’s a lot to find out but not much time to do it, right? But we got you covered! Because we know you’ve got limited time, we recommend just three of everything. Just to start you off. You can always come back for more or bookmark them for later. We’ve made separate tabs for each category to make it even more easier. So now you have no excuse. Come on, don’t be shy. Click on something! Remixing is a folk art, but the techniques are the same ones used at any level of creation: copy, transform, and combine. You could even say that everything is a remix. Watch all four parts here. 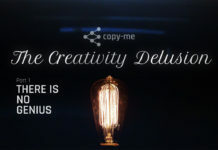 CGP Grey’s video is a five-minute brief presentation about the history and evolution of copyright. 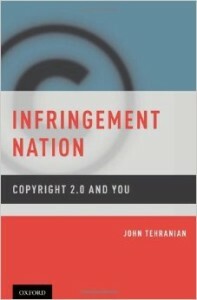 It is about it’s continuous extension and the huge burden copyright takes on our culture. It is now more of a burden on artists than it is something that helps new creation. 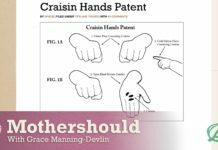 Despite being written by a lawyer, this book is highly accessible, due the humoristic form its arguments take, as well as professor’s Lessig incredible energy and enthusiasm. Lessig is a founding board member of Creative Commons, an organization which forever changed the world of copyright. 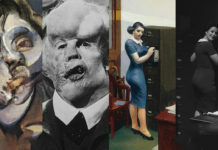 He argues that never before in human history have there been so many forms of expression and works available. Yet there’s a war against those who create and consume art. A war produced by a system that’s locking down every expression and every user. And in that process, the war is doing endless harm to artists, creators and the cultural heritage we stand to lose forever. 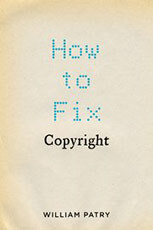 This is pretty much the go-to book on copyright. James Boyle, “the godfather of the Free Culture Movement” masterfully argues that an informed citizen needs to know something about the Public Domain and copyright, as one does about the environment or civil rights. 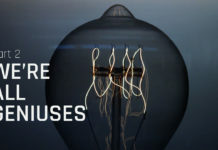 With incredibly rich examples, Boyle explains how, due to extended intellectual property rights, the realm of free speech, creativity and innovation has become dangerously unbalanced. „We’re locking ourselves out of our own culture”, as he puts it, and we all stand to lose something. William Party doesn’t hate copyright, as his former seat as copyright counsel for the US House of Representatives would attest. Yet he’s pretty angry about today’s state of copyright law. His knowledge of law and his terrific writing skills prove to be a hurricane of well argued facts, spanning from culture and copyright, to artists and money. 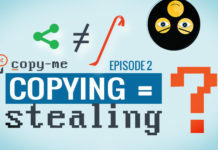 Using impartial evidence from economists, scientists, and even creators, he takes a nice swing at carving out a balanced view on the future of copyright. One not influenced by industry rhetoric, but rather one based on good policy. 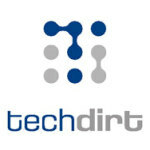 of other publications for your daily news feed: Techdirt and ArsTechnica. If you instead want (and need) academic sources, then these two peer reviewed journals are exactly what you’re looking for: First Monday, Journal of Peer Production. Access is free to both and you can find a trove of information. 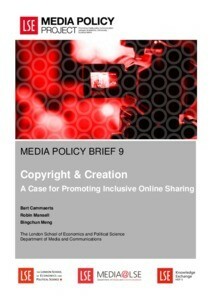 The Copyright & Creation: A Case for Promoting Inclusive Online Sharing policy brief presents new research relevant to current policy debates about copyright in the digital economy. 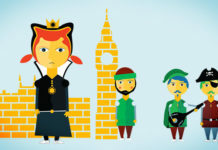 It is part of the Media Policy Project, initiated by the London School of Economics. The project “aims to establish a deliberative relationship between policy makers, civil society actors, media professionals and relevant media research”. This Eurobarometer Survey was conducted in the context of the Digital Agenda for Europe, a flagship initiative of the EU 2020 Strategy. The objective of this survey is to gain a better understanding of the market for content distributed across borders in the European Union, including, in particular, the extent of use and interest in such content and the reason for the use and interest. The Eurobarometer Survey has been conducted among a representative sample of the general public across the EU. Released by the European Commission. Network Neutrality: Challenges and responses in the EU and in the U.S. This analytic study provides background on the debate over network neutrality, including (1) its technological and economic underpinnings, (2) the implications for business models going forward, and (3) the legal, regulatory, policy and business responses that have been attempted and that are currently in play. It includes a comparison between the US, where these issues have been debated intensely, and the EU. Released by the European Parlament, DG for Internal Policies. The Green Paper focuses on the role of copyright in fostering dissemination of knowledge for research, science and education. The Green Paper is intended as the starting point for a structured debate on the long-term future of copyright policy in these fields. 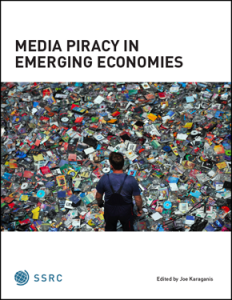 Copyright policy has increasingly emerged as a transversal issue, involving not only the internal market and cultural policies but also information society, competition and consumer interests. The Green Paper is an attempt to organize this debate and point to future challenges in fields that have not been a focal point up to now, e.g. scientific and scholarly publishing, and the role of libraries, researchers and the persons with a disability. If you think the recommended works’ list needs to include other works, don’t hesitate to send us your suggestions and comments either in the comments field below or by sending an e-mail at editor [@] copy-me.org! This is a team effort and we would love to hear from you!